Welcome to ElderCare Advice, the monthly musings of eldercareadviser, Irving Hellman, PhD, regarding topics of interest to the eldercare community. Advocating for the best interests of elders became my top priority over 2 years ago, when I entered the middle stage of my career as a caregiver to my 84 year old mother. An early morning phone call from the Los Angeles Kaiser Hospital informing me that she was going into surgery for a broken hip, is still vivid. Thus began a process of caregiving from a distance as I took many weekend flights to comfort and advocate for my mother in her recovery. After rescuing her from her rehabilitation hospital, it became clear that she could not return to independent apartment living. She would require the assistance of a full time caregiver to monitor her at night, her most vulnerable time . . .
Hellman, I. (2006). 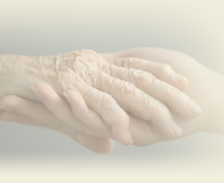 From Home to Nursing Home: A continuum of care for dementia patients. LoboPrabu, S.H., Lomac, J.W., & Molinari, V. (Eds.) Caregiving in Dementia. Johns Hopkins Press, Baltimore, MD. In the coming months, I hope that my musings on a range of subjects will provide helpful eldercare advice to visitors and will inspire some of you to share your own stories. Some offerings will be of professional interest, some will be practical, while others will be personal. The focus of these offerings will not be limited to care for the elders in your life but also for yourselves as you age. Future topics will include personal reflections on my own career as a caregiver for my mother, my career as an advocate for elders, my internal journey through my mother’s death; political reflections on the marginalization of elders in our youth oriented culture, diversity of our aging population, the switch from acute medical care to comfort care; professional reflections on dementia care, developments in guardianship law, functional capacity, successful aging. So feel free to visit monthly. I welcome your input . . .